The Robots we have been waiting for.. 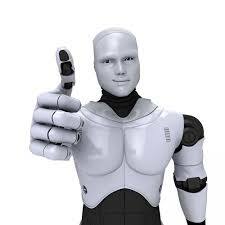 The first Robotic Sapiens will be relatively simple taking devices with autonomous control and monitoring features such as a factory floor robot that can be given instructions or discuss its internal states with an operator through conversation or truly smart appliances and vehicles. The combination of a Robotic Sapiens that has the general world knowledge equivalent to a Companion Sapiens with sensory hardware and mechanisms that enable the machine, whether mobile or stationary, to move and manipulate the world around it, will create the world’s first true robots. MK software is intelligent but with the exception of special data interfaces, it does not perceive the world directly in a general way. That is to say it is essentially blind to the sensory world. MK applications must be integrated with hardware and software equivalent to human eyes and visual cortex before it will be able to see. Much progress has already been made in machine vision systems consisting of cameras and software able to pick out physical objects from the large stream of real-time digital data. The software images of these physical objects can then be mapped into their corresponding MK concepts in the Core World Model enabling the Robotic Sapiens to perceive the external world and comprehend what they perceive. 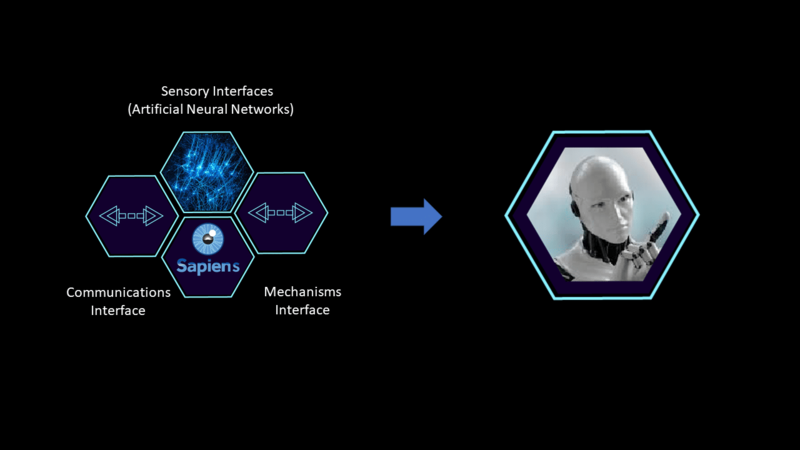 Artificial neural network technology being developed by others will provide the eyes, ears and mechanism control capability and New Sapience will provide the intelligence. When you put them together, you have what Issac Asimov called the “Positronic Brain:” ready to turn the world’s dumb robots into “real” robots. Robots will come in two general varieties: special purpose, such as autonomous vehicles; and general purpose, like Star Wars’ R2-D2 and C-3PO. 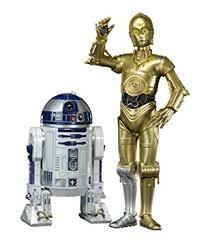 Of the latter category, C-3PO is an android robot, that is, a robot with a human form. The first generation of true robots will be special purpose ones as MK is used to advance the current generation of remote controlled or semi-autonomous mobile devices. These include drones, special purpose military air and ground vehicles, and even household appliances like those from iRobot corporation. General purpose robots including androids will not be far behind, however, and even though the mechanisms will be expensive, it is very possible that within a decade, mass production techniques could produce a household robot that might cost about the same as the family car and which could be equally as common.